Clive Dutton, from Bedfordshire, United Kingdom, is a regular at Couples Resorts. 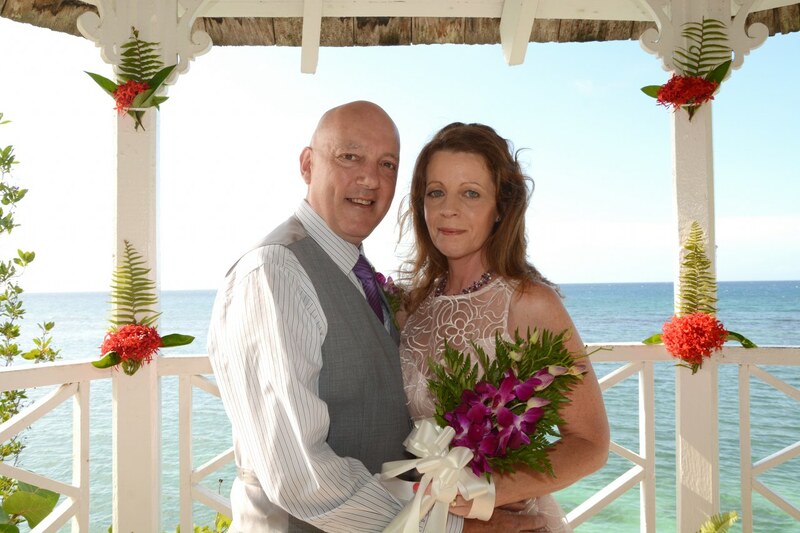 In this Couples Resorts UK guest review blog he tells us why he and his wife continue to return to Jamaica and why they continue to choose Couples Resorts. “Our first Couples Resorts stay was in 2012. We were looking for adults only, a smaller resort and high quality and Couples Sans Souci stood out to us as the perfect choice. Our stay in 2012 was all we had hoped for. We thoroughly enjoyed every aspect of our 2 weeks there. The service, the food and staff were all amazing. The grounds were always spotless – as was the beach, which was cleaned daily. On our return home we vowed we would return one day, although no definite date was set. Later in 2012, after living together for 26 years, we decided that it was time to get married. We had discussed the possibility previously and had always thought if we actually went through with it that we would marry on the beach in Mexico. A place we love and have visited several times. We then thought back to Couples Sans Souci and the weddings we had witnessed during 2012 and thought it would be perfect for our needs. We contacted Couples to inquire about getting married there in August 2014, they could not of done anything more to help in our special day. From the moment we booked, our arrival, the wedding itself and the built in honeymoon. They went above and beyond anything we could ever have hoped for. Couples Resorts are intimate, beautiful and full of quality. The staff are polite, friendly and always happy to help with a smile. In 2016 we are returning once more to Couples Sans Souci for our second anniversary and we are looking forward to another beautiful 2 weeks in Couples hands”.